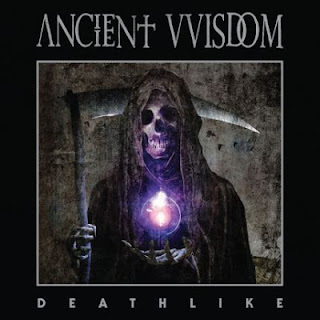 Hall of the Mountain King: Review: Ancient VVisdom, "Deathlike"
The bleak dirges on Deathlike create exactly the atmosphere the band is looking for, and the lyrics, which all dwell on mortality, are, at least to my ears, more grown up than the Satanic fare of the band’s debut album. Album intro, “The Beginning” sets the tone with a dark acoustic melody and an atmospheric electric guitar. I find myself really drawn to the two instrumental numbers on the album. There’s a sense of melancholy in a song like “Life on Earth” that really, I think would be ruined by putting lyrics over it. I describe it as acoustic metal because I really can’t come up with a better way to explain it, but there’s a great deal of variety in what the Austin outfit does. The surprisingly upbeat “Waiting to Die” has a 1990s alternative feel to it. “Far Beyond Good and Evil” has some punkish overtones. “The Last Man on Earth,” my personal favorite track on the album, rocks with an ubercool sort of a rockabilly shuffle. After a brief horror-movie soundtrack build up, the song shifts to something Elvis might have done if he’d been a goth rocker. There’s an occasional blast of more traditional metal sounds. “Rebirth” opens with a wailing electric guitar and the kick drum puts a little oomph into it. But for the verse it drops into the background, and Opposition delivers his vocal lines with something of a psychedelic mood. There’s kind of a spacey Bowie feel to the verse, and it’s a fantastic piece. “Never Live Again,” is a play in contrasts. The verses of the song are sparse and minimalist, a very quiet acoustic guitar and an occasional tambourine hit as Opposition moans out his lyrics of doom and gloom. Then a big, roaring electric guitar riff explodes out of nowhere for the chorus as Opposition raises his voice to a shout. “Here is the Grave” is another standout track, with a lazily galloping (sounds like an oxymoron, I know, but you just have to hear it) electric riff to lead into a song with the feel of a medieval ballad. It has an absolutely infectious melody that will keep you humming long after it finishes. Though the music on Deathlike is mostly acoustic and soft, there’s a heaviness about it that you can’t get with growling guitars and bashing drums alone. 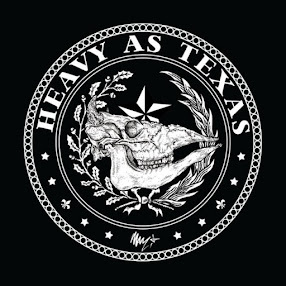 It may not be metallic to the ears of the uninitiated, but it has all the spirit of the heaviest music out there. Yet, it’s still accessible to people who are not traditionally metal fans, but just enjoy some gloomy, melancholy atmospheric music. For those who think there’s nothing different or unique going on in the metal community these days (and that’s an easy assumption to make listening to much of what’s out there), I highly recommend checking out Ancient VVisdom. You may not like them, but you definitely can’t say they’re cookie-cutter.